Over the weekend, I made my way down to Singapore Botanic Gardens to check out the popular Hong Kong street food stall - Mui Kee Congee which is doing a pop up at Casa Verde from 30 June till 31 December 2017. It is understand that it is hoping to set up a physical shop in Singapore at the end of the year, in partnership with the Les Amis Group. 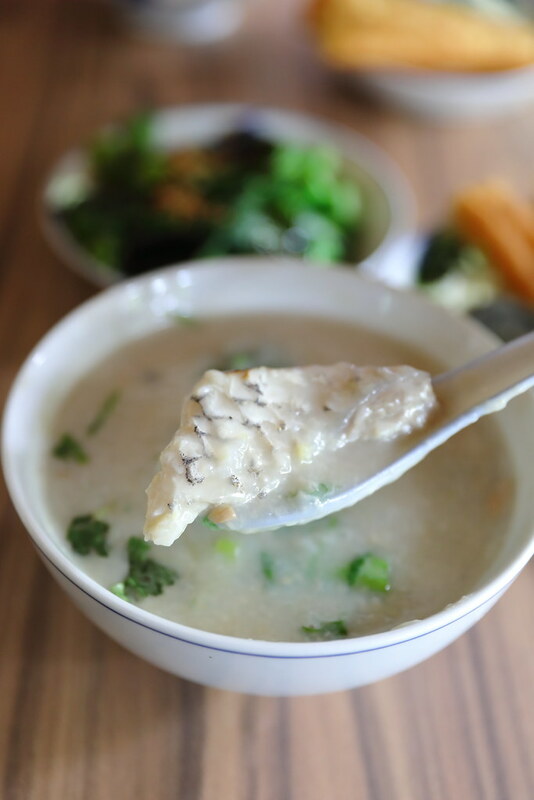 Kindly note that the congee is only available on Tuesday to Sunday from 730am to 3pm only. 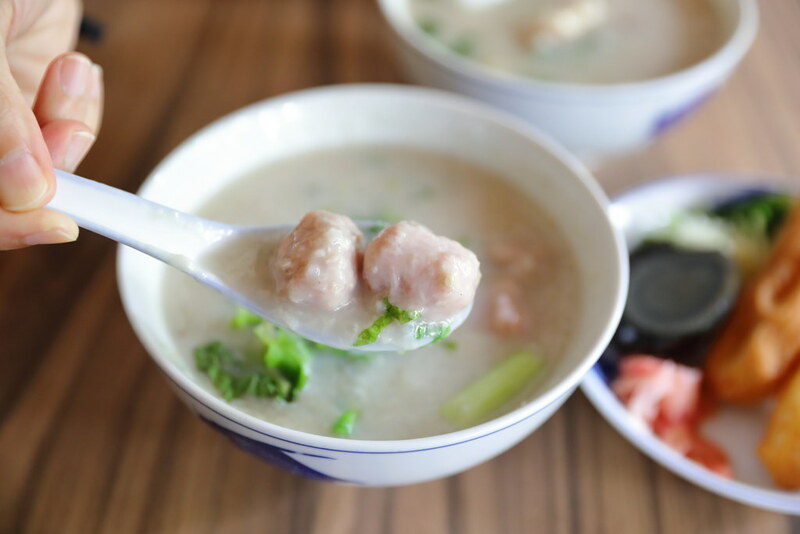 The menu offers 7 different types of congee - Sliced Fish, Homemade Pork Meatballs, Pig's Innards, Sliced Beef, Pork with Century Egg, Fish Belly and Scallop. 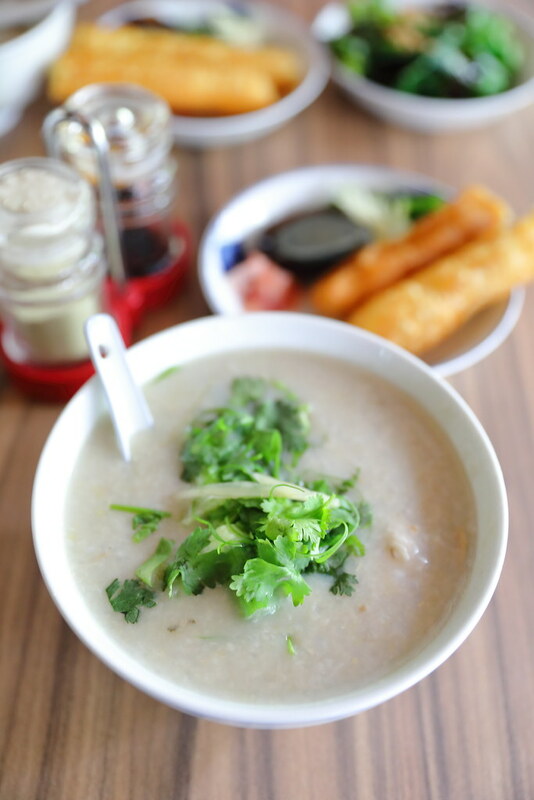 Each bowl of congee is served with a side of dough fritters and century egg. 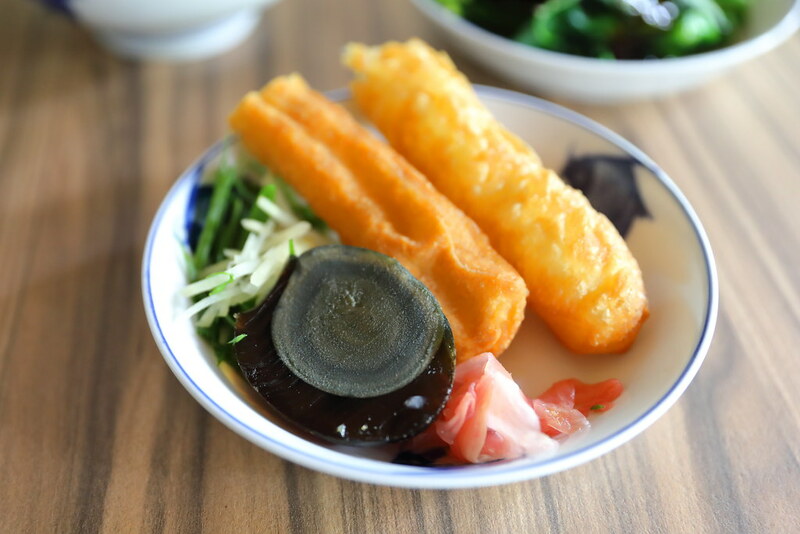 In addition, there are other side items such as drunken chicken, kai lan, pig's innards, dough fritters and century egg. I notice their signature fresh fish skin with scallion and ginger is not on the menu. Personally I like the free side of dough fritters and century egg that comes with each bowl of congee. At least I felt consoled for the amount I am paying for a bowl of congee. It also comes with slivers of scallion and ginger for diners to add into the congee as per their own liking. The Homemade Pork Meatball Congee ($12.50) comes with succulent bite size meatballs. The texture is not those bouncy type but instead it tasted as if all the fibers have broken down without resistant. The congee itself was very smooth, almost paste like. You can't even see any rice grains in it. I preferred the Fish Belly Congee ($14.50) over the homemade meatball congee for the simple reason it has more depth in the flavour. This is because chinese wine is added into the congee for that extra unami. Not only that, the fish belly slices were moist and fat. We can also tasted that the fish belly has been pre-cooked with a wok hei aroma. 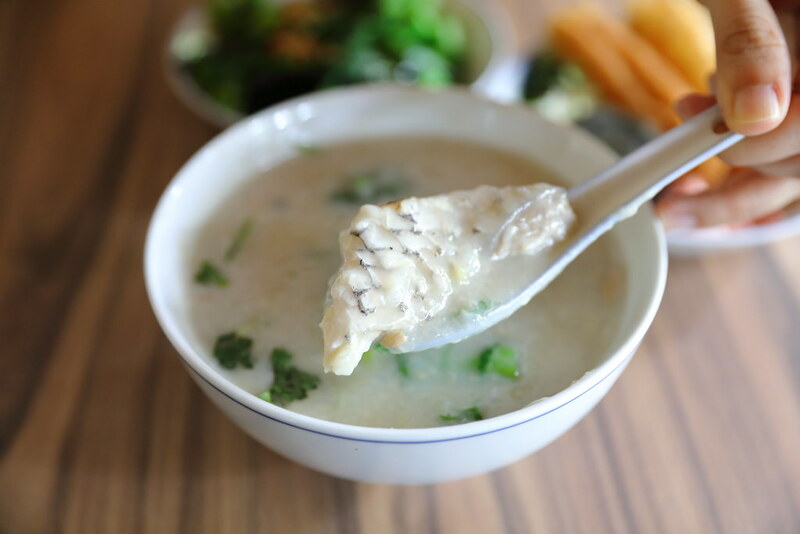 However do note, all the fish congee comes with bones. Hence it may not be appropriate for kids and old people. To complete our meal, we ordered the Kai Lan ($7). 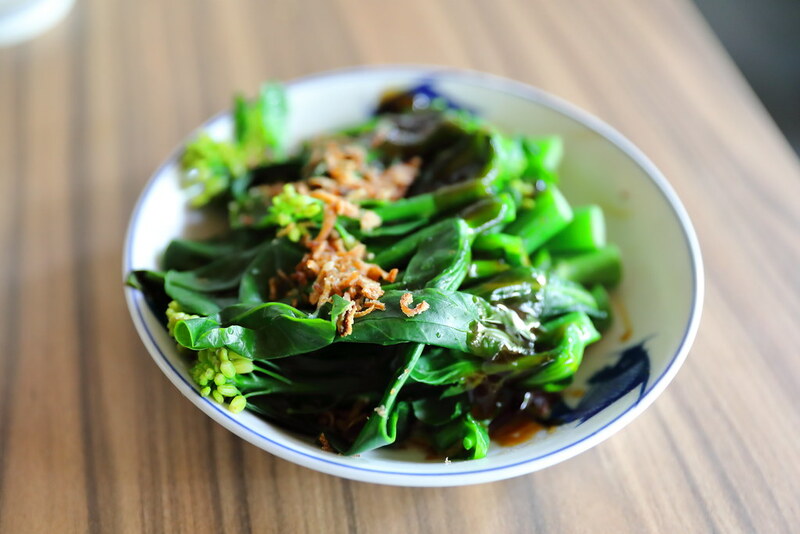 It may be costly and simple but we appreciated the fact that efforts were put into the crunchy greens layered with the aroma of pork lard and deep fried shallots. Do note that Mui Kee Congee is currently operating as a pop-up at Casa Verde, Singapore Botanic Gardens beside the vistor centre up to 31 Decemeber 2017 until they have found a physical shop in Singapore. Meanwhile if you plan to head down to try their congee, kindly note that it is only avaible from Tuesday to Sunday, 730am to 3pm. Their treadfin belly congee taste great with a burn taste which we call wok hei. Although this $18++ which might be on a high side of price but it’s def worth the money than spending $11.80++ for the parrot fish which the meat is tough and tasteless. Have try the set menu as well which is $10.80 but taste so normal just cheap which it’s not worth also might as well go coffee shop and eat which is cheaper. I find if you going to so called restaurant to eat dun look at price and order as you will never get to eat what is really called nice and good food you can only get to taste what ya call a bit better than normal congee and I can said just go coffee shop if you not willing to spend dun throw face. When go restaurant enjoy yet looking for cheap item and order.